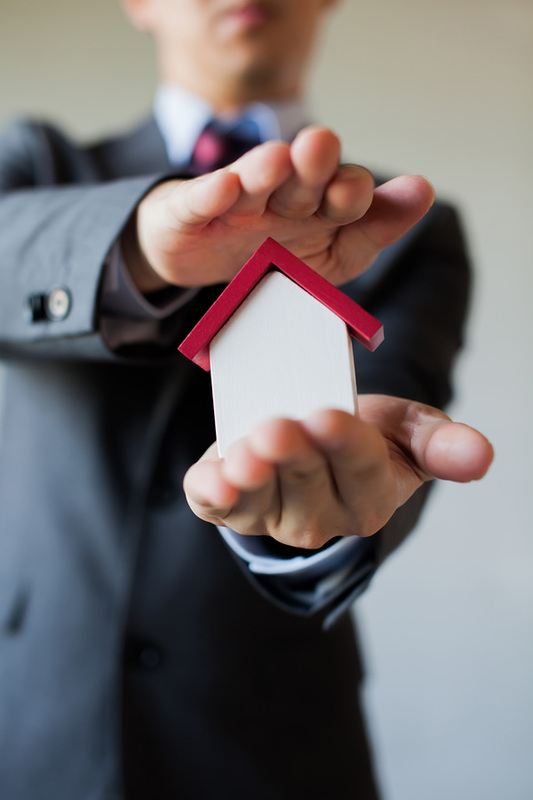 If you are self employed and looking to buy your first home or move to your next property, the best approach it to seek advice from a professional mortgage advisor who has experience in assisting the self employed. A broker who specialises in self employed mortgages understands the market fully and knows which lenders to approach. Being your own boss has considerable benefits, but getting your hands on a mortgage without any fuss is not one of them. You need to be aware of the hurdles you will have to jump when applying for a mortgage - whether for the first time or to remortgage a property, but a broker will make this process as hassle free as possible and will open the door for you to lenders who are more welcoming. We are experts at helping self employed people overcome the barriers that may be preventing them from achieving their home owning goals. Take Stephen and Lucy Palmer, 35 and 32 who have just purchased a two bedroom home in Leeds, Yorkshire. Stephen quit his well paid job as a SAP developer just over three years ago in order to go it alone and launch his own business. The first time buyers were living in rented accommodation but both had decided it was time to get their foot on the housing ladder. They found a property which they both loved with two decent sized bedrooms, a modern kitchen a sunny back garden and enough space to create an office for Stephens's IT business. They approached their bank for a mortgage but were told that because Stephen's business was relatively new with only 2 years of accounts available, they would not be able to proceed with their mortgage application. Automated credit scoring meant Stephen and Lucy's application was declined at the first hurdle despite the business being very profitable. Following this initial set back the couple did not give up on their dream and took to the internet to source a broker who could assist them with their desire to get a mortgage. Brokers earn their keep by helping customers who may not fit the criteria currently demanded by high street banks. Brokers have access to a group of specialist lenders who predominately receive their business through intermediaries. Specialist lenders don't usually allow applications from borrowers directly so you won't see them advertising or find them in the high street. A broker will target your application to those lenders who are self employment friendly. After approaching a broker, Stephen and Lucy Palmer's application was successfully placed with a lender that scrutinises each application individually with human rather than automated assessment. The lender was able to make an informed decision and concluded the couple could comfortably afford the mortgage repayments. Prior to 2007, it was relatively easy for those with non standard employment patterns to get their hands on finance to buy a property. Many lenders offered the self employed, contractors and those with multiple sources of income what were known as self certification mortgages. Self certification allowed you to self declare your income if it was difficult for you to prove. With a true non status mortgage, you did not have to provide company accounts, payslips, P60s or any other documentation to prove you annual income. This sector of lending had seen rapid growth for a decade and no-one envisaged that trend reversing until the credit crunch hit. As the financial troubles took hold, lenders began to reel in their lending no longer were they casting their net wide with only low risk, run-of-the-mill lending being deemed appropriate. In the wake of the financial crisis self-certified mortgage products were particularly vilified as they were regarded as a major contributor to the problems, mainly because it was felt they encouraged borrowers to vastly inflate their income and subsequently take on more borrowing than they could afford. After 2007 mortgage lenders withdrew their self cert products en masse, leaving many people in an awkward situation with no or very limited access to finance with many existing borrowers 'mortgage prisoners', stuck with their existing lender when their deals came to an end. Fortunately things have improved since the dark days of 2007 although it is still the case that the majority of large lenders are looking for 'vanilla customers' to give mortgages to, that is people who have substantial deposits, in full time employment with no missed payments and very high credit scores. Fortunately, there are few players in the market who are trying to carve out a niche by targeting borrowers who may have been turned down by high street lenders for not meeting their strict criteria. A handful of lenders are actively targeting self employed borrowers and they have adopted an individual approach to each application. They are keen to do business with creditworthy borrowers, so if you're self-employed and looking to buy a house, there are lenders who may be able to assist. These lenders tend to use an underwriter to consider every application, working on a case by case basis to find flexible solutions, which means you won't be turned away based on an automated scoring system. Some of these lenders only take new business via an intermediary such as a broker. So whether you're an electrician, plumber, florist or a director of your own company, getting a mortgage when you are self employed can be a little tricky, but with the help of a broker you can access lenders more sympathetic to your situation. If you have been in business for a number of years and can demonstrate your income for the past three years, theoretically you can approach just about any lender, however it is often much harder to be accepted as most lenders remain tentative in their approach to non standard borrowers. If you are newly self employed with limited accounts, there are considerably less options, but a few lenders will consider a borrower with only one year's worth of accounts. Specialist self employed lenders understand the complexities of self employed borrowers. Specialist lenders provide a critical function in under-served segments of the mortgage market. Whether you're a limited company director, sole trader, contractor, there are lenders who will consider you as a borrower even if you have less than three years accounts. Providing you have been self employed for at least 12 months there are some lenders who will examine 1 years accounts and base your application on just last year’s accounts. For company directors of limited companies, some lenders will base their decision on salary and profit before tax rather than salary and dividends. Britain is experiencing an entrepreneurial boom with the number of people going it alone rising rapidly in the past few years. If you are one of growing army of over 4.5 million self employed people, you may find you hit a brick wall when trying to get a mortgage from a high street lender. Before venturing into the mortgage market approach a specialist broker who can advise you of your options. Simply complete the enquiry form to get a FREE initial no obligation quote.